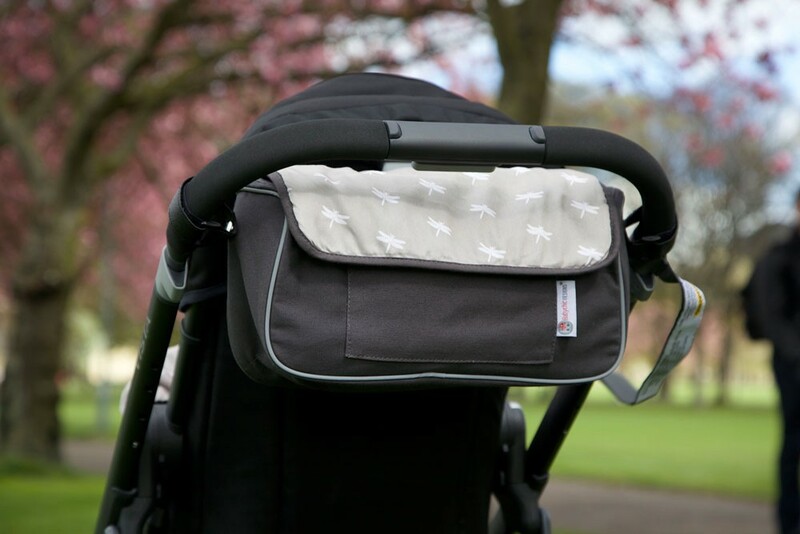 Pram Organisers are a great way to keep your keys, mobiles, drink bottles and all the other essentials that you need when you are out and about with kids. 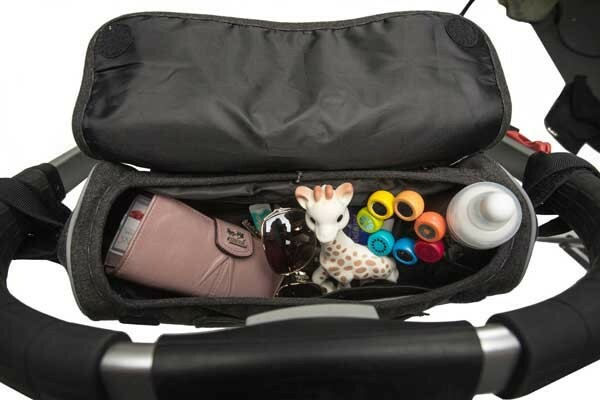 The pram organiser fits most prams and strollers and is very easy to use. Simply attach the two Velcro straps to the handles. It has large pockets to hold everything as well as two drink holder pouches. There is also a secure pocket at the back to keep valuables like money and phones hidden. 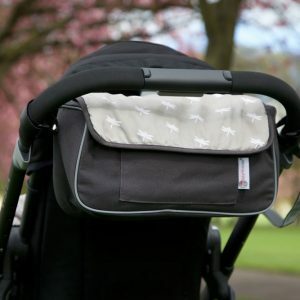 The pram organiser closes with magnetic buttons and the lid can be removed so you can clean it easily. Please do not use in the washing machine. Instead wipe clean with a damp cloth only. WARNING: Never overfill the organiser if you are using on a pram, trolley or wheelchair and always remove items from the organiser before removing the child from the pram.